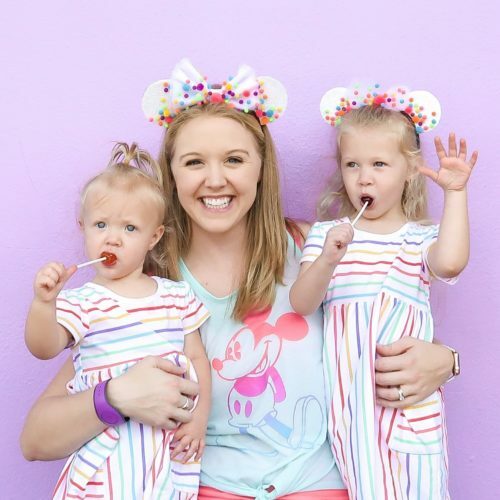 We made these adorable glitter DIY Mickey Ears at our #DisneyKids playdate. They were perfect for kids to wear, easy to make and cost less than $5 per pair! Here’s my step by step tutorial on how to make them. These glitter sheets are available at Hobby Lobby for $1.99 each. They are canvas backs which means they’re water proof and able to withstand the humid Florida weather, unlike paper would. 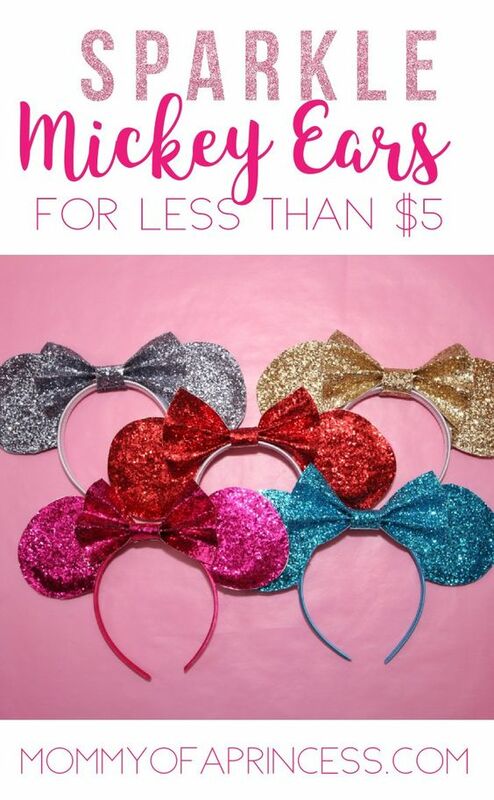 One sheet is enough to make one pair of DIY Mickey ears. Here is a simple outline of what you’ll need. Four ear shapes and the bottom rectangles will make the bow. Cut all materials out and they should look like this (below). 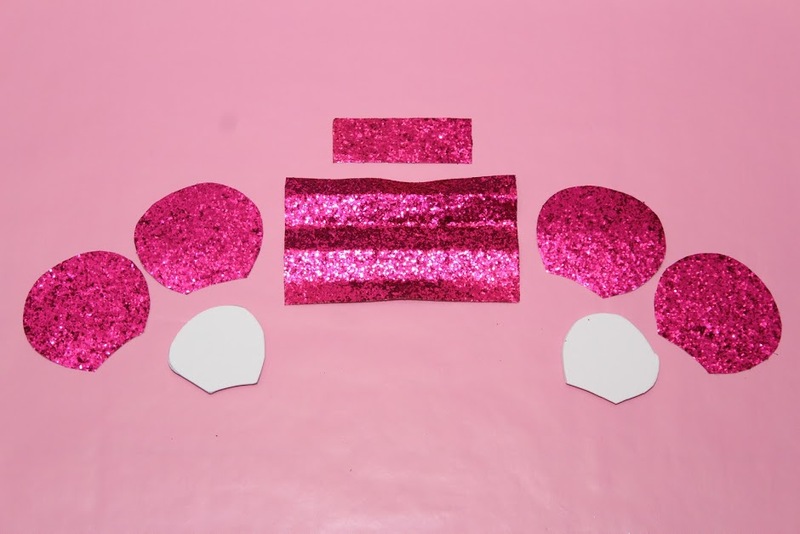 You will need white craft foam to insert in between the glitter ear pieces to give it stifness. I recommend cutting the white foam much smaller than the glitter sheets so the glitter edges touch together seamlessly. 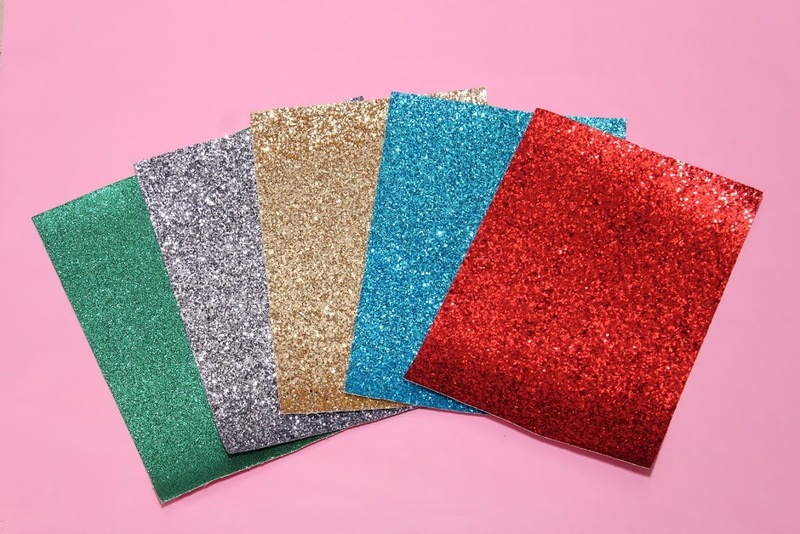 You’ll want a “sandwich” of glitter sheet, foam, glitter sheet. 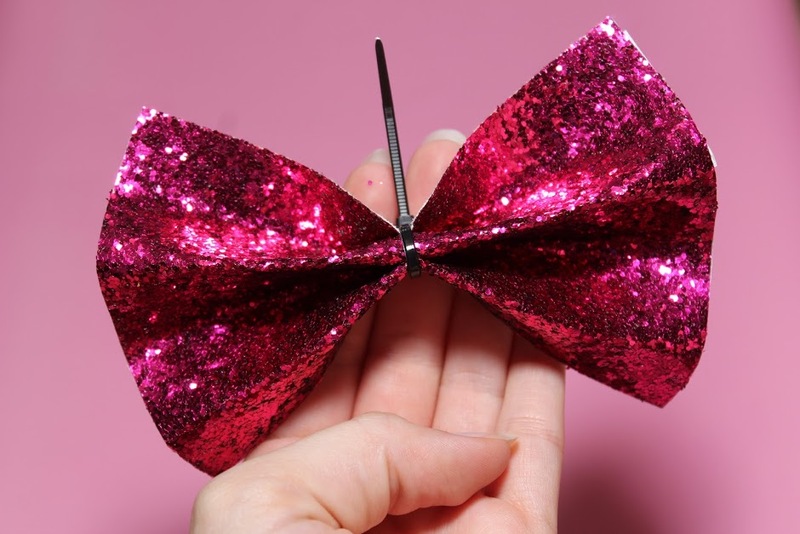 To make the bow, fold the rectangle accordion style like a fan. Pinch the middle and zip the the very center and then trim the extra. Once complete you will assemble everything together, the two Mickey Ears and the bow in the center. I use hot glue to a fix everything to the headband. It’s very important to use a fabric covered headband, not a plastic one, or the hot glue will peel off easily. Now your ears are ready to wear. 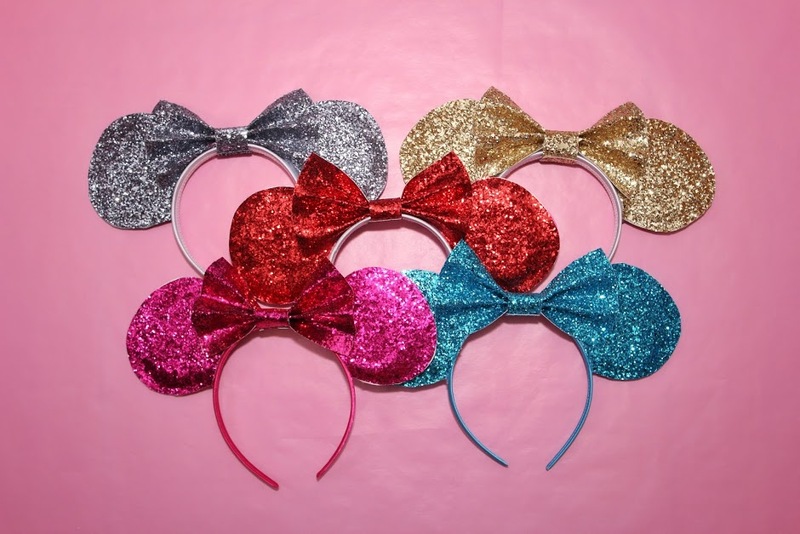 Glitter DIY Mickey Ears are classy and perfect with any outfit. If you’re planning a trip to Disney soon be sure to pin this for your trip. So cute!! And looks so easy too. Thanks for sharing. So awesome. I have sewn earns before and this looks so much faster and easier. I am pinning this! A lovely simple idea, everyone seems to be having a go at crafting their own ears these days which is great! 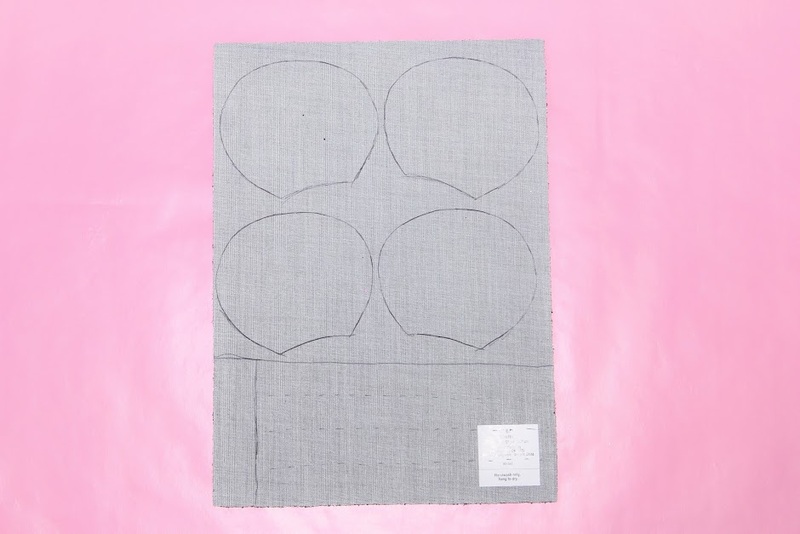 Do you have a pattern for the cut outs you made? I’m trying to make them and can’t get all the pieces to fit on one piece of canvas. Thanks! !